When people start contemplating how to distribute property as part of an estate plan, giving some of that property to loved ones is a common goal. Wanting to keep property in the family is a laudable intention, and is usually a reflection of the sacrifices required to acquire it. Thus, seeing the asset go to a stranger for a one-time profit is not desirable for many people. Issues related to real property transfer frequently emerge because one rarely wants to charge a family member the same amount as an unknown third party. Further, it is common to wonder if charging well below market value, or even a nominal fee, such as $1, more for symbolic gesture than actual value, is a good and viable choice. One important thing to understand about any transfer of real property is that they are always classified as a sale or gift, regardless of the amount of money exchanged. This fact can create a number of tax and Medicaid-related complications if not properly planned for by an estate planning attorney. A discussion of the ramifications of selling property to family members for less than fair market value will be explored below. Florida has an estate and gift tax system that dovetails with the federal estate and gift tax laws. The federal government, specifically the IRS, imposes estate and gift taxes, and has rules taxing certain gifts, so that giving away property will not avoid federal tax consequences. As a result, any sale or transfer of property that is below market value is viewed as part sale and part gift. Gift allowances are permitted up to $15,000 per year, per individual as of January 1, 2019, but anything over that amount is subject to federal gift tax reporting requirement. Eventually, when the accumulated total of all gifts reaches the taxable level, the federal and state government will begin to impose gift taxes on the donor. 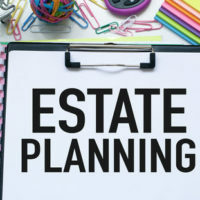 In addition, the amount of these lifetime gifts will also be taken into consideration at death, in determining whether or not there will be an estate tax imposed. For larger estates, a knowledgeable tax professions should be consulted. In addition to gift and estate tax consequences, selling property below fair market value or gifting away property, whether real or personal, can delay a person’s eligibility for Medicaid for a significant period of time. Medicaid is the federal program most people depend upon to assist in paying for nursing home care in the last years of their life. Stringent financial caps are placed on the recipient’s income and value of assets he/she may own. The point is to force the Medicaid recipient to deplete his/her own resources before the government takes over. No one wants to see a lifetime of work extinguished in a few years by nursing home costs, and a number of asset protection strategies can prevent this outcome. However, if someone applies for Medicaid, any recent transfers will be scrutinized (a period of 60 months prior to the application), and any disallowed transfer, including those for less than market value, will trigger delays in eligibility. The penalty is to block the applicant for Medicaid benefits for a set period of time, which is based on amount transferred and the average cost of nursing home care in the State. Finding oneself declared ineligible for Medicaid can have devastating effects on a family’s finances, and an asset protection and estate planning attorney should be consulted about how to avoid or mitigate this outcome. Wanting to take care of loved ones once you are gone is important, but equally important is ensuring the structure put in place maximizes asset protection strategies and meets your goals. William Rambaum understands how pivotal this issue is to effective estate planning, and will work to put together a plan that secures your family’s future. Contact the Oldsmar law firm to schedule a consultation.